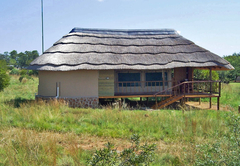 Butjani Lodge is a highly recommended Gauteng game lodge providing a wildlife experience for discerning tourists visiting Northern Gauteng. 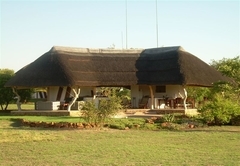 Butjani Lodge is an intimate eight bedded bush lodge 45km North East of Pretoria on the Dinokeng tourist route. 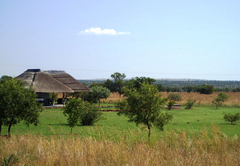 Easy access from both Oliver Tambo International and Sandton and a twenty five minute drive from Cullinan. 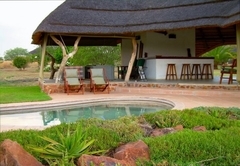 Butjani Lodge is situated on a private nature reserve with plains game and a perennial river on the property, the lodge offers a perfect bush getaway. The rates include dinner bed and breakfast and a warm welcome from your hosts Penny and John McDonald. 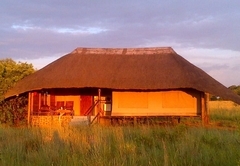 En-suite luxury tented accommodation in tents under thatch, on a raised deck. 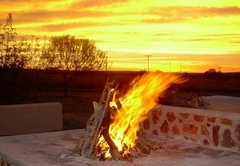 Single or double accommodation available. 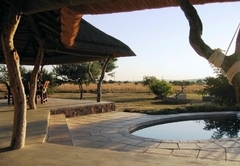 Look across the bushveld from your bath, or spoil yourself with an outdoor shower under the stars. Sip champagne on your deck as the sun sets on the western horizon. 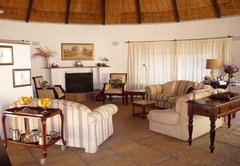 Relax in your own private chalet or join other guests at the lapa. 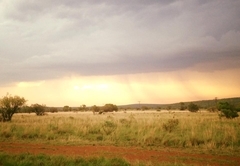 As the sun sets, head off for a game drive and sundowner in the bush. 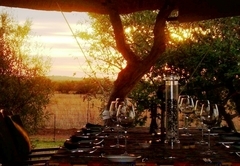 The evenings see guests gather around the boma for drinks around the fire rounding off the day with a hearty three course dinner, carefully prepared to satisfy your every need. 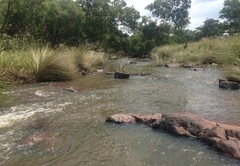 Mountain biking or bush walks amongst the game are a must. 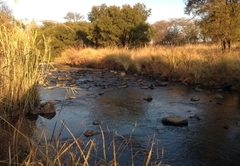 A leisurely walk down to the Elands River, bird book and binoculars in hand is a popular activity. 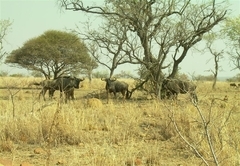 As the reserve is home to no dangerous animals you can stroll amongst the game in safety. 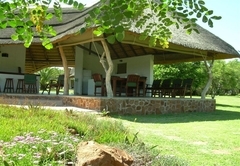 Relax by the poolside at the comfortable lapa which is equipped with a lounge, bar and dining area. For those colder winter days, come into the fold of the indoor lounge and dining room and curl up with a book next to the fire or head off to the TV room to watch your favourite DSTV channel. 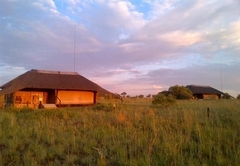 Butjani is an ideal first night stop for international visitors to acclimatize before embarking on their trip around South Africa. 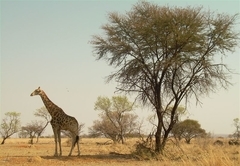 Proximity to Johannesburg and Pretoria also makes it an attractive getaway destination in a malaria free area for both local and overseas visitors. 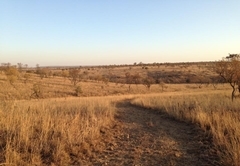 Trips to Pilanesberg or Maropeng can be arranged, or any other day tours in the Pretoria or Johannesburg area. Airport transfers are available on request. 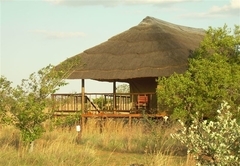 Tent under thatch on a raised deck with en-suite bathroom and outdoor shower. two bedded each, and each camp can sleep in two adults and two kids in which will add camp beds for children under twelve years of age. Features include double beds, En-suite, Mountain views, Balcony/patio, Single beds, Outdoor shower, Fan, Heater, Tea and Coffee Facilities, Bar Fridge, No Smoking in Rooms, Swimming pool views, Garden views. This was my second stay at Butjani and will be returning soon. This is 5-star hospitality in very private and unique accommodations. Staying at Butjani with John and Penny is like staying with family. Their knowledge of the plants, animals and stars is amazing. The food is great and the game observed right outside your chalet is outstanding! Can't wait to return.